I spent today at a Mindfulness Retreat at the home of a dear friend. She had invited a young Thai monk to come and spend the day giving us guidance in mindfulness meditation, both walking and sitting, mindful eating, and mindful thought and action. We spent a lot of time together pondering skillful ways to be in the world without contributing to the world’s suffering or getting caught up in it. As we sat and listened and walked and meditated together the question of how to skillfully “encounter” the violence of ISIS and the remarkable disrespect of political candidates for each other, their constituencies and for the “other” kept emerging in my mind. These two manifestations of violence seem related on a continuum. After a silent lunch together it was time for Q & A. Most of the questions had to do with how to engage skillfully in conflicted personal relationships. The consistent bottom line seemed to be “non-attachment” - - not having attachment to specific outcomes; not having attachment to the emotions that arise in conflict; not having attachment to our own need to be right and on and on. While I assent to the wisdom of non-attachment, the answers still did not satisfy my need to understand how to skillfully BE with the tumult of emotion, fear, anger, resistance, dis-belief, mistrust, hopelessness, helplessness and cynicism that seems to swirl through life these days. Some tiny splinter of truth worked its way into my consciousness as the afternoon unfolded - - perhaps some fragment of a half-heard sentence from the young monk’s dharma talk. It had to do with understanding the others' suffering. 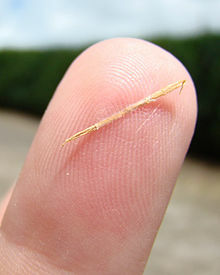 Splinters are annoying and pesky things – demanding attention until they are removed and cared for. So I had to at least give this some attention. 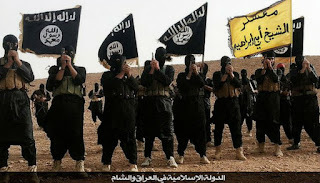 If I am not to contribute to the sum total of the world’s suffering, it seems that I am challenged to understand the suffering that manifests as ISIS or as the outrageous and destructive political rhetoric that characterizes the current election cycle. I am challenged to understand it and not contribute further to it. Since I am not given any first hand, intimate personal glimpses into the lives of people who kill and bomb and verbally excoriate and humiliate other human beings, I find I am having to look deeply into myself for understanding. When I acknowledge the energies within that manifest in me as disrespect of the other and try to get “underneath” them, I find that these feelings arise when my own identity, my sense of who I am, my humanity, is threatened or at risk in some very fundamental way. It is as though my being is under attack. This causes suffering and the potential for a violent response. I puzzle about the suffering of individuals caught up in ISIS – about the possibility of some assault on their collective identity as human beings that contributes to a violent response against the perceived enemy - - the perceived collective “one” who is responsible for the terrible, disrespectful insult to their identity and humanity at some level. I puzzle even more about the suffering of privileged politicians who need to attack and slander one another in the service of their own advancement. As I am pondering the question of why there is so much observable and intractable hatred that results in either physical acts of violence or equally destructive verbal violence my eyes fall on an epigraph at the beginning of Chapter 14 in Not In God’s Name: Countering Religious Violence by Rabbi Jonathan Sacks. He quotes James Arthur Baldwin: "I imagine one of the reasons people cling to their hates so stubbornly is because they sense, once the hate is gone, they will be forced to deal with the pain." This opens a little window for me – just enough to understand that if I can know deeply that the destruction of human life and dignity that manifest in the violent acts of ISIS and the vitriol of American politicians has its roots in pain, the avoidance of which depends on holding on to hatred, I can open my heart – or at least not keep it closed quite so tightly – perhaps soften just a bit –to allow a compassionate space for a pain so difficult that it requires a firm hold on hatred in order not to suffer so much from the pain. Compassion can respond to pain. This feels like a small awakening to me.